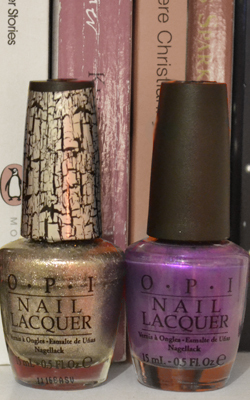 Apply two thick coats of 'Purple With A Purpose' (or any colour of your choice) and leave it to dry. To Ensure that the shatter gets even coverage, there is a three brushstroke process in applying it. First apply one stroke down the middle of the nail, and then paint an 'X' shape across the nail. So brush from the left bottom corner to the top right corner, and then brush from the bottom right corner to the top left corner. Once this has almost dried, you can apply a top coat to give the nail a more smooth and even finish. 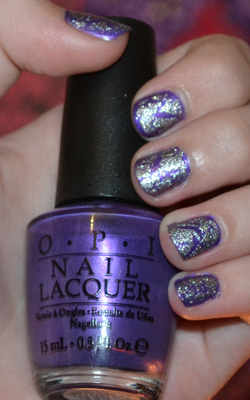 For this I used OPI RapiDry Top Coat. I've never tried the shatter look before but it's a cute look! Blue and silver would make a great combo as well. I haven't tried that before but I've seen those a lot! 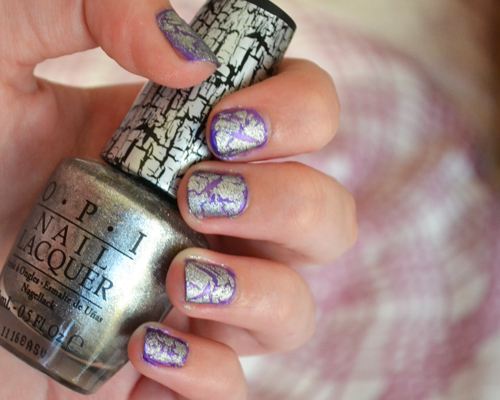 I've never been a huge fan of the shatter polish thing but I have to admit the silver looks pretty cool!! The shatter looks perfect on that purple!